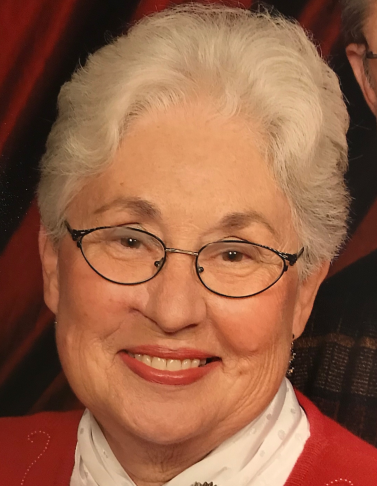 Marilyn A. Rowdon, 80, of Fort Wayne, IN, passed away on Thursday, March 28, 2019 at Lincolnshire Place in Fort Wayne. She was born on December 6, 1938, the daughter of the late Richard L. and Cleo (Werling) Arnold. On May 4, 1958, she married Richard L. Rowdon. She was a member of St. Joseph United Methodist Church in Ft. Wayne, where she belonged to the hand bell choir. She was a volunteer at the Ronald McDonald House for many years. Marilyn was a 1961 graduate of the Parkview School of Nursing. She was employed as a Registered Nurse for Parkview Hospital, Peter Ekrich Meats, and East Allen County Schools. She also worked as homemaker, raising her 5 children. She is survived by her husband of 60 years, Richard L. Rowdon of Ft. Wayne; 2 sons, Todd R. (Missie) Rowdon of South Bend and Trent R. (Tiffaney) Rowdon of Wolcottville; 3 daughters, Tamera J. (Tommy Gill) Klug of Zephyrhills, FL, Teresa J. (Ken) Waggoner of Ft. Wayne, and Tonya J. (Mike) Pollock of Ft. Wayne; a brother, David (Debbie) Arnold of Ft. Wayne; a sister, Dian (Chris) Miller of New Haven; 10 grandchildren Nicole Klug, Roxanne Waggoner, Ryan Waggoner, Mason Rowdon, Monica Rowdon, Tanner (Caitlin) Pollock, Logan Pollock, Ty Rowdon, Zane Rowdon and Zeke Rowdon; and 3 great grandchildren, Alexandria Klug, Isaac Freed and Leia Rowdon. Visitation will be from 4:00 – 6:00 p.m. on Friday, April 5, 2019 at Haggard-Sefton-Hirschy & Zelt Funeral Home, 225 W. Adams St., Decatur. A Funeral Service will be held at 12:00 p.m. on Saturday, April 6, 2019 at St. Joseph United Methodist Church 6004 Reed Rd., Ft. Wayne, with calling 2 hours prior from 10:00 a.m. to 12:00 p.m. Pastor Ron Verlee will be officiating. Burial will follow in Highland Park Cemetery. Memorials may be made to the Alzheimer’s Association or to St. Joseph United Methodist Church.